Mr. Hardy was last seen on Saturday, February 16, 2019 leaving his home at 9:00am in a blue 2012 Chevrolet truck. He was wearing a light blue shirt and tan plaid pajama pants. Mr. Hardy suffers from dementia. 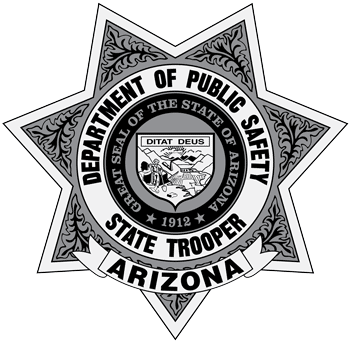 Anyone with information regarding the whereabouts of Mr.
After his death, communications personnel in the Central Communications Center collected funds and items for a basket, which was delivered to the Salt River communications center on January 16, 2019. In January 2019, Kevin was diagnosed with Dementia. Since being diagnosed, his memory has deteriorated significantly. The only time he is allowed to drive is when his wife is with him, and every time they are out, he forgets where they are driving to and where they are at. 1974: In this week’s entry we look back on a project that issued radios to truck drivers, which allowed them to directly communicate with DPS dispatchers. The below story was featured in the April 1974 issue of The Digest. Silver Alert canceled for Mr. Hutchins. He has returned home safely. The Mohave County Sheriff’s Office is seeking the public’s assistance in locating a missing person. Charles Dearstine is 85 yrs old, 5’4” tall, 160 lbs, with grey hair, and blue eyes. Charles was last seen in Palmdale, Ca on Friday (2/15) at 7:30 PM. Antonio Martinez was last seen at approximately 1800 hours today in the 1700 block of S. 9th Avenue in Yuma, AZ. Mr. Martinez was last seen wearing a black shirt, blue jeans and a grey flannel vest. He does suffer from dementia.